Summary: Cheyenne, a retired rock star living off his royalties in Dublin, returns to New York City to find the man responsible for a humiliation suffered by his recently deceased father during WWII. 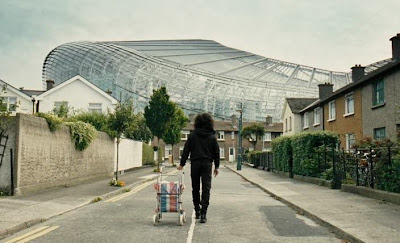 This Must Be the Place is a 2011 drama film directed by renowned Italian filmmaker Paolo Sorrentino who also co-writes the movie’s screenplay in collaboration with Umberto Contarello. 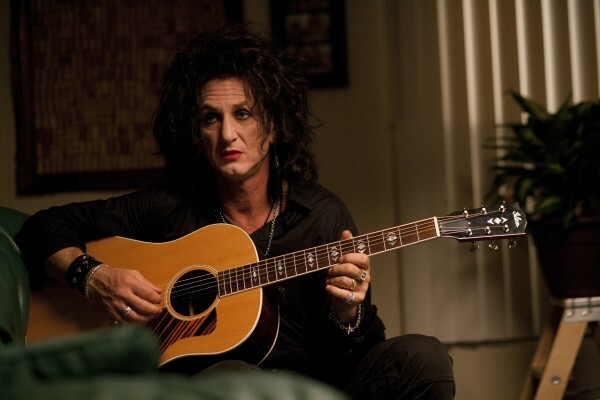 Sorrentino’s fourth film, This Must Be the Place stars Sean Penn in the lead role of a Dublin-based retired Goth rock star named Cheyenne, who not only wears lipstick and eyeliners but also sports a weird hairstyle. This Must Be the Place may be looked upon by a casual viewer as a mishmash of a road movie, a detective movie and a Nazi-criminal-hunt movie. But a keen viewer would be able to see through this façade discovering a deeply meaningful work of cinema. The film can most aptly be looked upon as a soul searching journey undertaken by a detached individual overwhelmed by his colossal fear of one day coming face-to-face with the naked reality of his hollow existence. 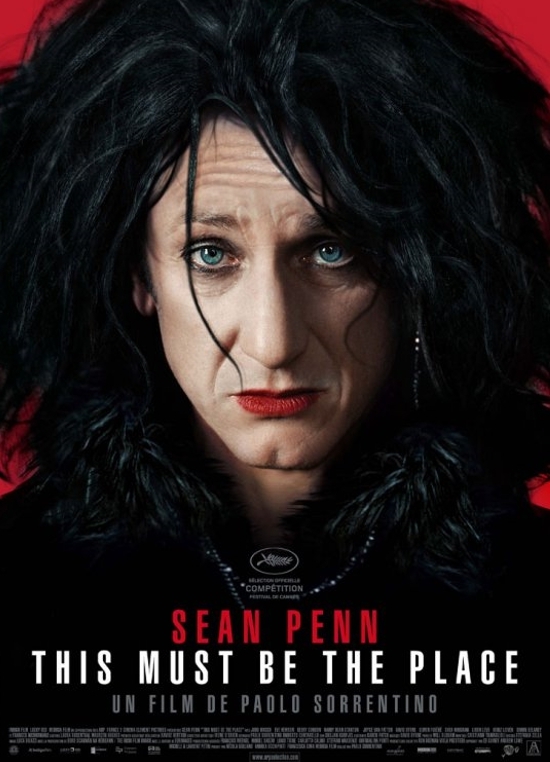 This Must Be the Place is a beautiful film featuring an exceptional performance from Sean Penn. A complex yet fascinating character, Cheyenne prima facie comes across as a transvestite or a homosexual or both, but there’s surely more to him than meets the eye. Everything about him, except his weird outwardly appearance, seems quite normal. He lives in a lovely house with his wife of 35 years (beautifully played by Frances McDormand). And yet the bizarre manner in which Cheyenne speaks and walks may make the viewer suspect that he is a drug addict, which obviously is not the case. In reality, Cheyenne is an innocuous individual trapped in a time warp who uses the makeup as a mask to hide his true self from the rest of the world (as well as himself). Thus, in a way, the makeup helps Cheyenne to keep himself well protected in the cocoon of his own choosing. His life has a comatose feeling (except when playing handball with his wife... in an empty swimming pool) to it. And to watch Cheyenne drag his body (while walking) is like witnessing the drudgery of a man doomed to wander in fetters till eternity. Sorrentino’s films rely heavily on their propagation of visual metaphors. And This Must Be the Place is no different! The movie’s visual pointers combine with the spoken dialogue to transmit a queer sense of humor. Along with its strong visual statements, This Must Be the Place also serves to be a repertoire of some of the most memorable (often replete with wisdom) spoken lines in cinema; the credit for this must go to Sorrentino and Contarello. In one of the scenes towards the end of the film the waitress, while serving Cheyenne, apologizes that the burger is a bit overdone. "You don’t mind, do you? Unfortunately that’s life" she adds. Cheyenne’s impassive response is "You know what the problem is... we go on from an age where we say 'My life will be that’ to an age where we say 'that's life'." On another occasion when Cheyenne is offered a cigarette he replies "Smoking is only for kids who haven’t grown up." Another brilliant one is when someone quips "Didn't you use to drink a lot?” Cheyenne responds "Enough to decide to stop." This Must Be the Place despite suggesting violence as an option to inflict vengeance essentially serves to be an ode to non-violence. There is a sequence near the end of the film where Cheyenne finally manages to exact revenge on the Nazi who had humiliated his estranged father in the Nazi camps. The poetic beauty associated with Cheyenne's revenge not only underlines the true power of Sorrentino's filmmaking genius but also accentuates why most European filmmakers outwit their American counterparts in their ability to deliver strong and meaningful messages that despite the deliberate level of subtlety involved still manage to pack a powerful punch. This Must Be the Place won the Ecumenical Jury prize at the 2012 Cannes Film Festival. Another facet that makes This Must Be the Place remarkable is that it’s Paolo Sorrentino’s first non-Italian film. The fact that he relies on an all-American cast and immaculately captures Americana in its pristine form while still managing to be true to his European style says a lot about his filmmaking prowess. Sean Penn is a revelation in the role of Cheyenne, which in this critic’s opinion also happens to be his greatest performance till date. It's just incredible how great filmmakers push their actors to the limit and invariably get the best out of them (even when that actor is someone like Penn who has delivered so many memorable performances during the course of his long and successful acting career in Hollywood). Penn and Sorrentino seem to have paid great attention to detail in developing the various aspects of Cheyenne's enigmatic persona: be it his slow but unusually high-pitched voice that almost feels like affectless whispers, his slow and exhausted walk that shows signs of sciatica, his disturbing laugh that often punctuates his conversation, or his disconcerting nonchalance and seemingly affected childlike demeanor. Overall, This Must Be the Place serves to be a great cinematic experience that underlines Sorrentino's incredible range as a filmmaker. Watching the film makes one wonder whether one is watching one film or a bunch of different films seamlessly woven into one. Sorrentino's longtime collaborator Luca Bigazzi's cinematography (underlined by spectacular outdoor crane shots and the long shots) is breathtaking to watch and leaves a lasting impact on the viewer. The same can be said of the hypnotic music composed by David Byrne and Will Oldham. The film is replete with visual symbolism and allegories and it may require multiple viewings for one to be in a position to appreciate it fully. The movie's slow pace may pose a challenge to some in the early going but the patient viewer will be thoroughly rewarded. This Must Be the Place is recommended to all those who understand as well as appreciate intelligent and thought-provoking cinema.